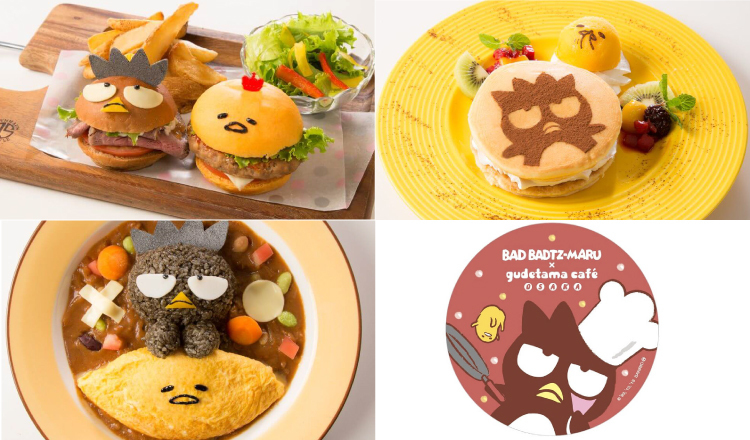 The Gudetama Cafe in Osaka, located in the HEP FIVE shopping center just a 3-minute walk from Hankyu Umeda Station, is teaming up with the Sanrio character Badtz-Maru in a new collaborative menu that will be available from October 1 to November 30. 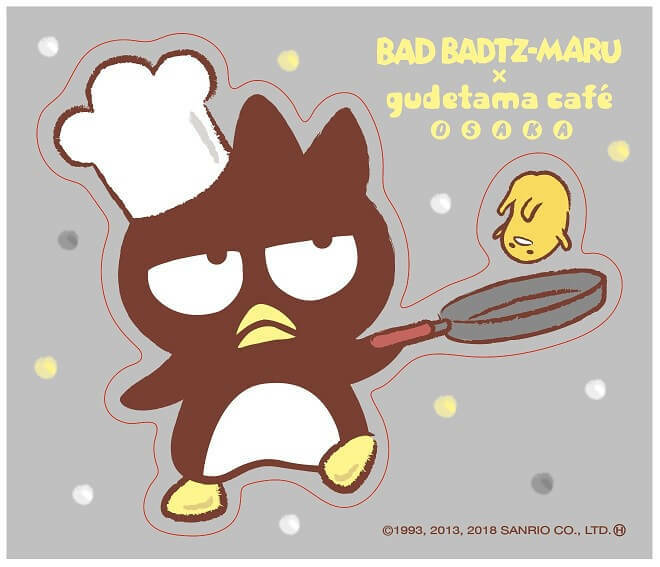 Following on from the collaboration with Pochacco, the Gudetama Cafe will now be graced by the presence of the Sanrio penguin Badtz-Maru―to celebrate Gudetama’s 5th annviersary―who first appeared in 1993. There will be 4 dishes to choose from as well as some novelties with original designs. 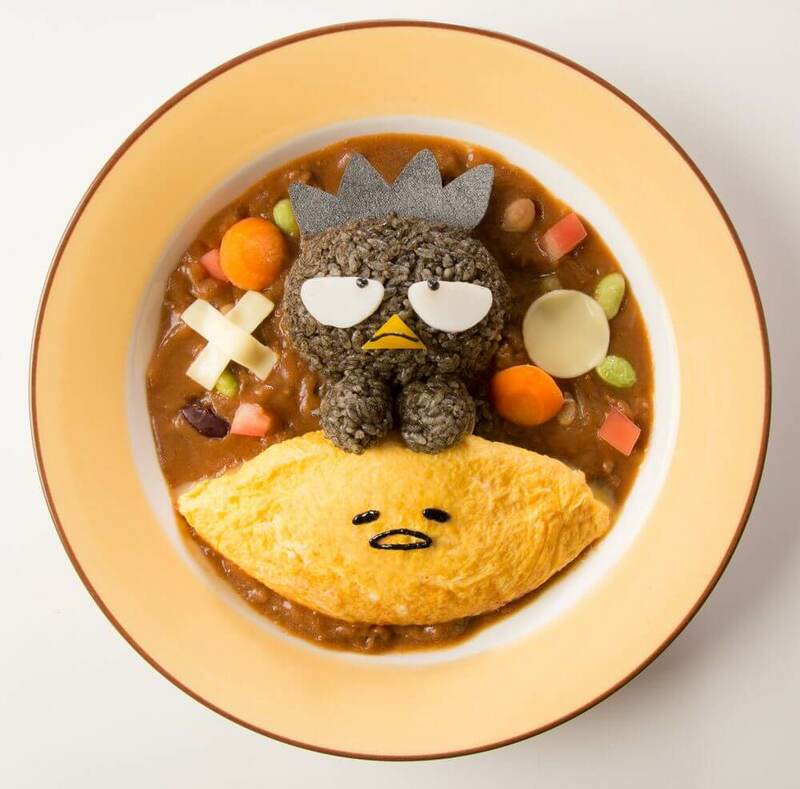 The first meal on the list features a cute scene of a Badtz-Maru made from Hayashi rice tucked under a Gudetama omelette blanket. 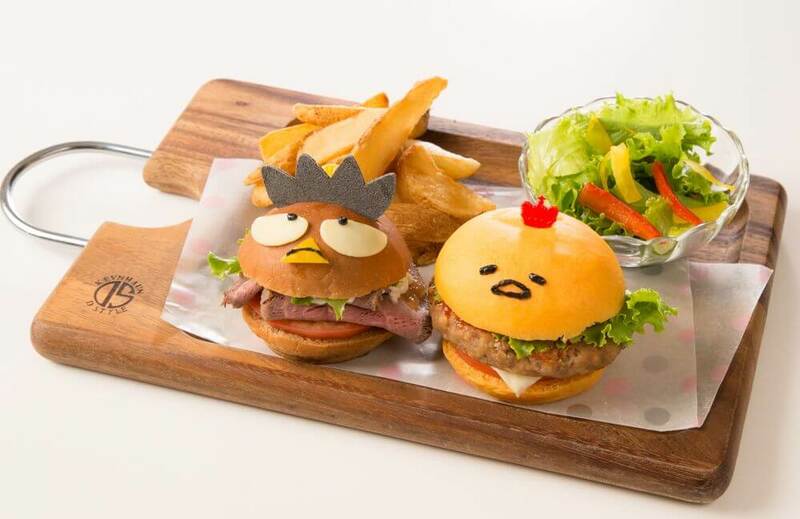 Then there’s the two mini burgers, one for each character, packed with ingredients and served with a side of salad and fries. 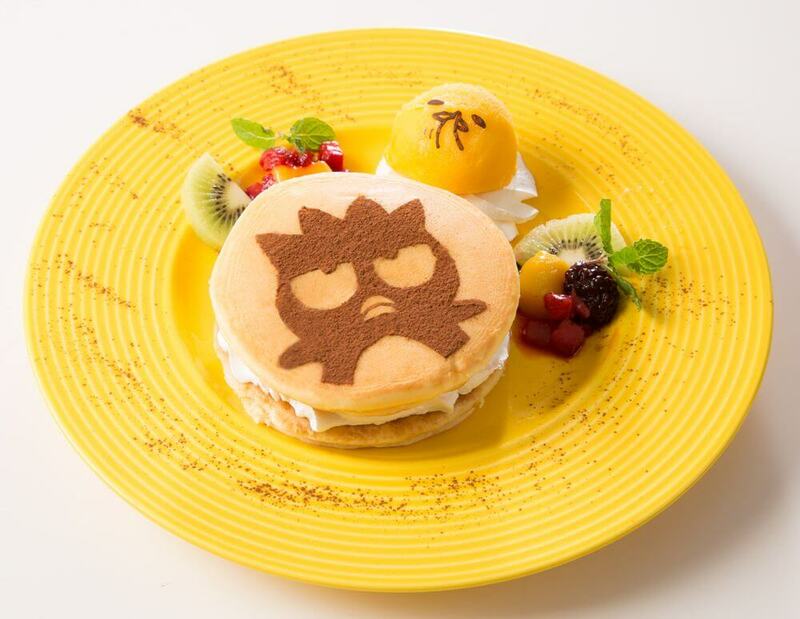 Next is a tiramisu squished between two plump pancakes with Badtz-Maru’s face drawn on top. 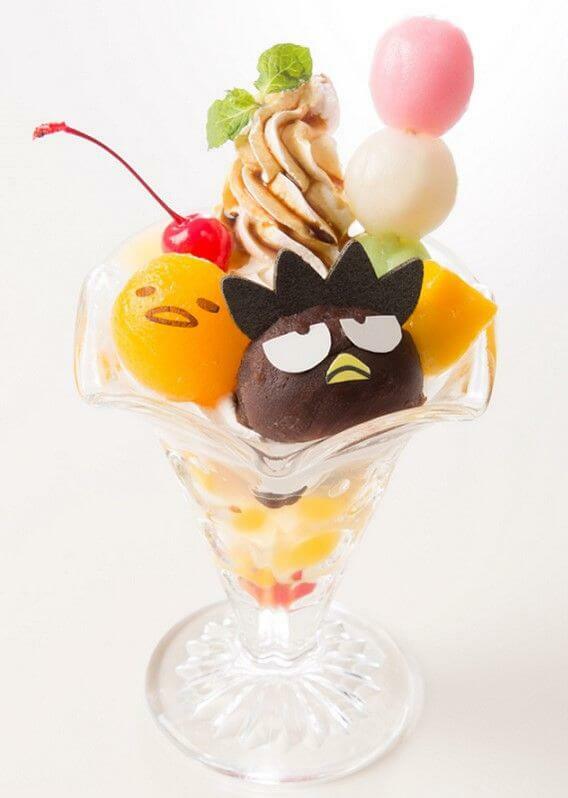 This is served with a Gudetama made from mango ice cream and fruit. Finally we have the parfait. 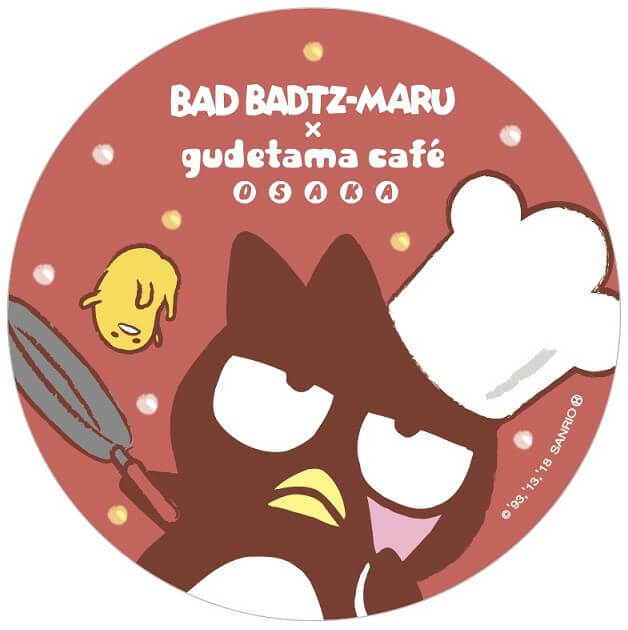 Badtz-Maru is made from strained bean paste and Gudetama from apricot. Behind them are three-coloured dango drizzled with brown sugar syrup. The cafe will also serve a reduced version of their regular menu during this collaboration. And to celebrate the collaboration, you can get your hands on some free limited edition novelties. One sticker will be given to each customer who dines or purchase merchandise from the Gudetama Cafe. Additionally, those who eat there will get a lunch mat and those who order a drink will receive a coaster. These are available for this collaboration only. A campaign will also be held from October 1 to November 30 at the Sanrio shop “Sanrio Vivitix” on the 4th floor of HEP FIVE. The first 500 people to purchase something from Sanrio Vivitix and show their receipts from the Gudetama Cafe will receive a free pin badge. 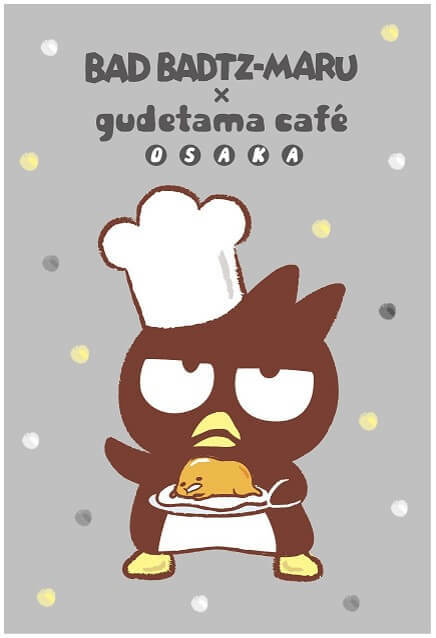 Likewise, those who take coupon leaflets given out at Sanrio Vivitix to the Gudetama Cafe will get a postcard. These too are available for this collaboration only. 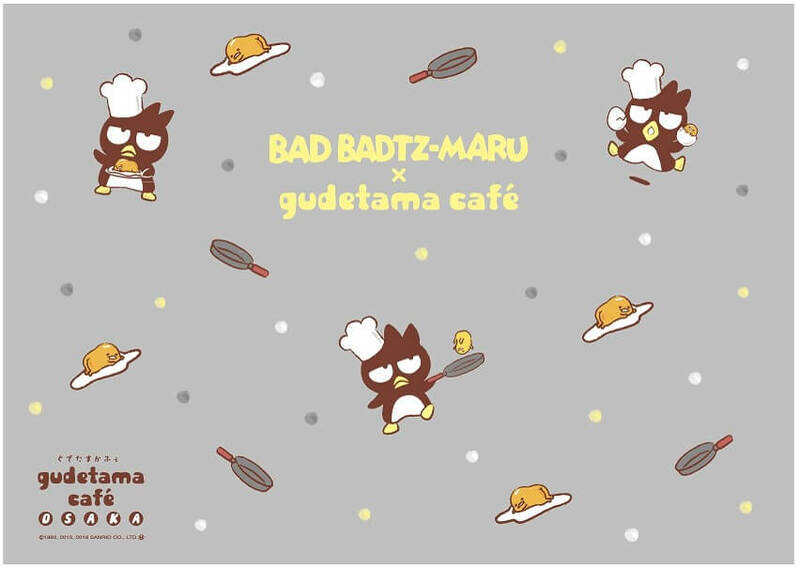 Don’t miss out on this first ever collaborative cafe between Gudetama and Badtz-Maru!